The April visit of our friend Kelly from the UK prompted us to get out and about once again, especially as she arrived complete with an action-packed schedule of things to see and do. As well as the tried-and-tested favourites she also picked a few activities which were new to us, so she takes the credit for much of what follows. 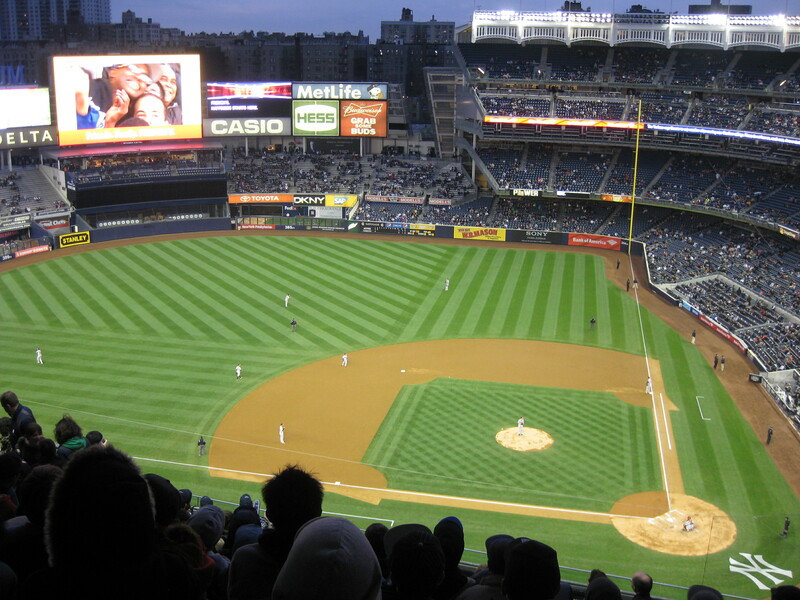 Monday April 29th saw us heading up to Yankee Stadium for our very first ball game – the Yankees vs the Houston Astros. It was a chilly evening and neither team appeared to be playing especially well, but we had a great time. Highlights included a giant bucketful of popcorn, discovering that the stadium has its own organist, and a couple of really good hits (though Tom told me off for applauding a member of the ‘wrong’ team…!). ‘American music’ was the main criterion for selecting a concert, and Vaughan Williams was on offer in the main auditorium, so we ended up in the smaller Zankel Hall for a programme of minimalist music, American Soundscapes. This is really not the sort of thing we’d usually choose, but I was so glad that we went – the ensemble was fantastic, it was great to see 2 female conductors at work, and the music was a mix of interesting and enjoyable. Not so much a museum in the traditional sense of the word, the Tenement Museum is a historic house containing apartments which have been restored to showcase different periods in New York’s immigrant history. Groups are taken into the apartments by a guide, and ours did a fantastic job at bringing the building and its inhabitants to life (we went on the Sweatshop Workers tour). We were interested to learn that our own apartment is in a 1900s tenement building but whilst we think we’re a bit pushed for space some of the immigrant families crammed in large families and their own garment-making businesses, so really we’re extremely fortunate! 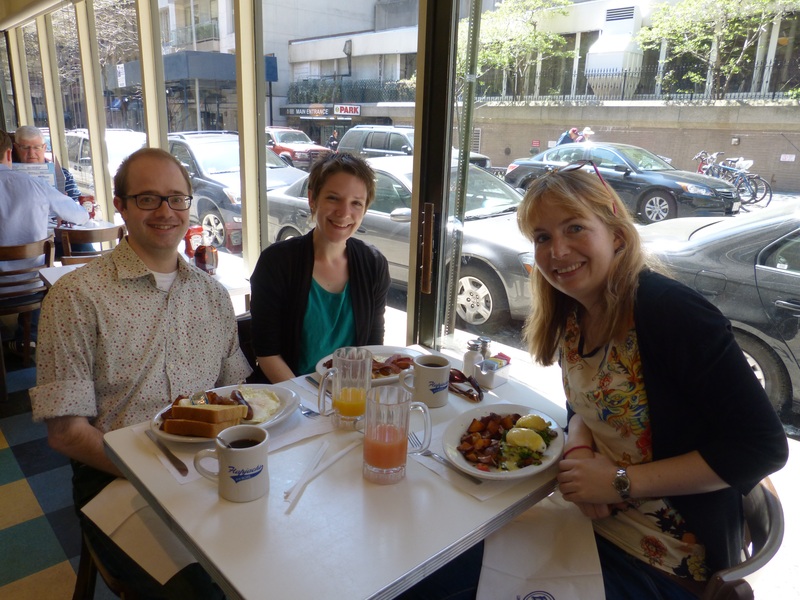 No visit to New York would be complete without brunch! Last night St Bart’s was very much en fête for the installation of the newest rector, Buddy Stallings. St Bart’s excels at grand celebrations, and Buddy is hugely popular with the congregation – it really was a wonderful occasion. From our perspective in the choir stalls it was the best sort of hard work as we had lots of great music to sing, including a lovely new anthem composed especially for the day by Bill Trafka, our director of music. Tom & I were honoured to be chosen as 2 of 6 soloists for the litany, which was quite terrifying but it all went very well (and we at least had an advantage when it came to producing good Anglican vowel sounds for the chant!). 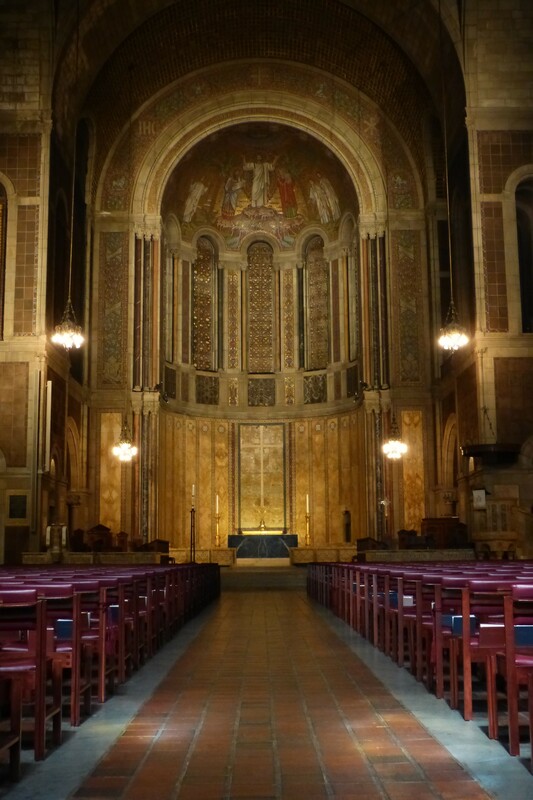 This entry was posted in Living, Museums/galleries and tagged Carnegie Hall, concerts, music, New York Yankees, St Bart's, Tenement Museum by Emma Davidson. Bookmark the permalink.